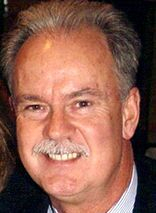 John F. Gallagher served in the Boston Police Department for thirty years and rose to the rank of superintendent and chief of detectives before he retired in 2008. His interest in history and genealogy and his background in criminal investigation motivated him to write this true crime story about the 1913 murder of retired Rear Admiral Joseph G. Eaton in Norwell, Massachusetts. John lives in Hanover, Massachusetts, with his wife, Jeanne.